Nollywood actress, Tonto Dikeh has waded in on the clash between Kemi Olunloyo and media mogul, Linda Ikeji over the latter’s pregnancy. She defended the celebrity blogger and pleaded for the hate and negativity towards Linda to stop. Kemi Olunloyo had accused Linda of wearing a prosthetic bump after she revealed the news on her pregnancy. She added that she had proof that Linda Ikeji couldn’t get pregnant as she had no uterus to carry a child. However, Linda Ikeji took to social media to address the allegations, wondering why someone she helped while in prison could make up false claims about her pregnancy. She later shared a photo of her naked bump to proof her pregnancy is not fake. 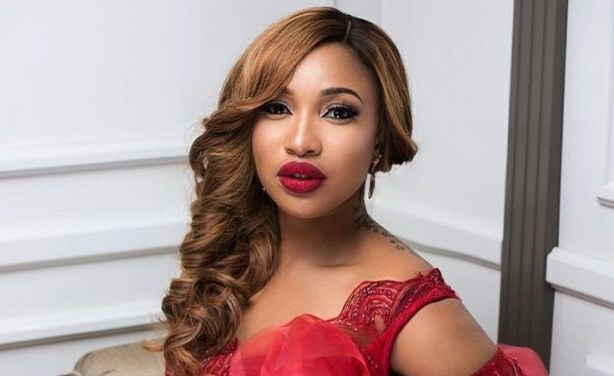 Tonto Dikeh took to her Instagram page to support Linda, stating that she is a success and remains a role model to many people regardless of all the criticism concerning her pregnancy. She shared the post to encourage Linda and stated that she would keep praying for her. “All this negativity is the reason I Jejely went extremely private /personal during my pregnancy.. Not even my parents knew until I was 8 months and far away from the world negativity and hate. I will let sleeping dogs lie.But please draw from your motherly instinct and follow this with caution Ma..
Do have and enjoy the best pregnancy You can. Sad and bitter women leave your fellow woman alone. Women another woman isn’t your problem. God heal you all of all this Hurt and hatred. Because you sin differently don’t make you right. #THE REASON SOME WOMAN WILL ALWAYS BE UNDER AND NEVER REACH GREATNESS IS HATE, ENVY AND LACK OF JOY FOR THE NEXT WOMAN.